Shedfire is pleased to release pictures of the first frame that’s been finished. 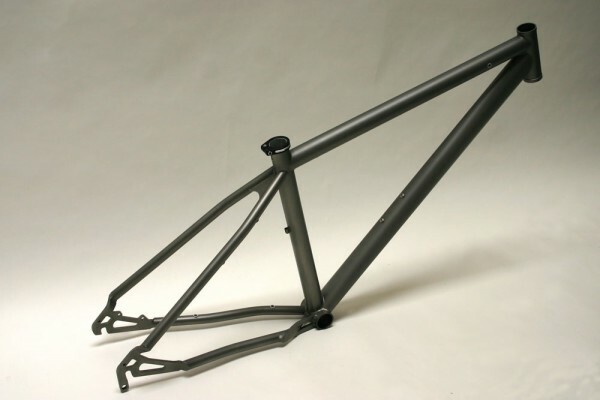 The Ragley Ti hardtail has been fabricated by Lynskey Titanium in Chattanooga, USA. asymmetric chainstay assembly that we haven’t thought of a name for yet. good, but we’re pleased with the results. Do one with a 25″ top tube & i’ll ‘ave one. On-ones were a little short for me. Looks like the chainstay bridge is in the process of showing the bird. 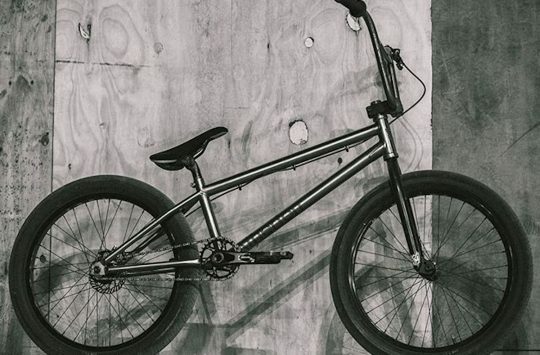 Is the chainstay design related to the odd 3 fingered gesture on the shedfire site? Aye, what’s the BB height gonna be? Nice and low I hope. why does the frame feature an asymmetric chainstay thing? At a guess, the chainstay plate is to give greater combination of mud clearance and chainring clearance than can be achieved using tubes. Very much a case of function first. Big tyre wants the stay in one place, big chainwheel wants it in another. Sudden change harder to do with fancy metal? I’m hoping it’s tuned to c#. BB = 20mm below wheel centres at right height with 140’s Ben. brant when will the steel and ally one’s be on sale? Steel and alloy mid/late May. 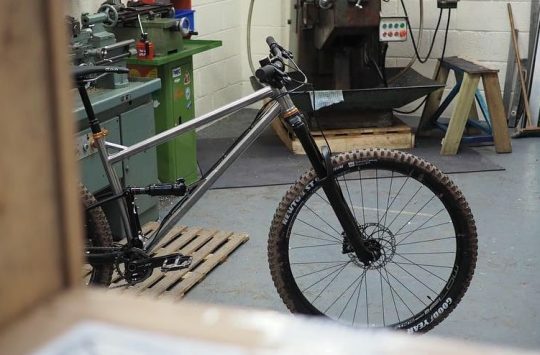 Is it going to have a forward facing slot on the seat tube, the picture looks like it’s backwards which isn’t good for British mud. Also will it run full outers? As you are a uk designer it would be nice to have frames designed for the uk conditions. how much crap really enters the frame due to a rearward-facing seat tube? I’d wish that one of you UK designers would send the gear cables under the BB. My old steel Stumpy copes much better with Essex mud than my newer bikes. Lynskey didn’t want to put it in the front due to the lack of material/space with the 31.6mm post we’re using (dropper post happy), and having thought about it (rather than just repeated what journalists write – and I’ve been guilty of writing things like that) I came to the conclusion that terrahawk did. Infact, more than that, I think the rearward slot is under compressive rather than tensile load, so I much prefer it. 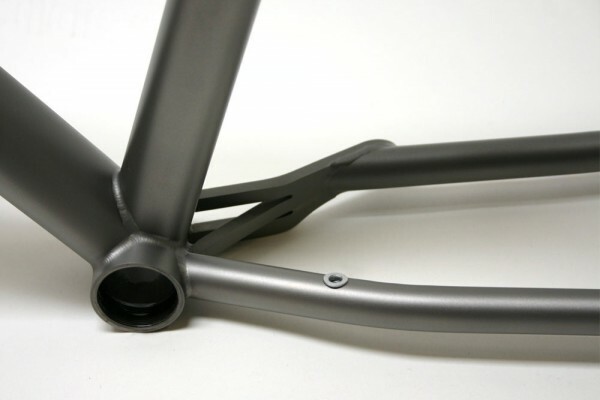 I might flip the slot to (both of) the sides yet though, like some of the carbon frames do. It will run full outers. They do work. we do with our Genesis bikes, i agree with you but i know some others don’t. Yes, water and crap can get in through a rear facing slot, certainly enough to cause seatposts to corrode in place with steel or alloy frames. A blob of bathroom sealant helps though. Or a little inner tube gaiter? Under the BB just gripes me from BITD “retro-mechs” with that big loop of cable. 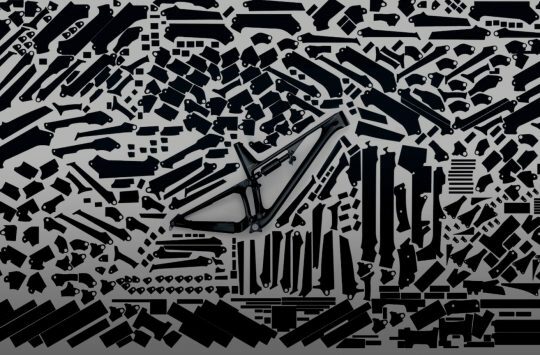 I’ll nod that modern Shimano/SRAM is a lot better and might work well. The other reason is that I hate cutting cables and trying to find ferrules. That chainstay is very similar to the Evil Sov’. What’s the biggest disk you could fit with that tidy disk brake placement? But do you have any evidence that that’s because the slot is at the back?